Founder of ReMode. He is partner and co-founder at the strategy consultancy Blue Change and curator of the Fashion Future Now online community. Serial entrepreneur (Overblog, Teads, Secret Media, CryptoFarm) Crypto Expert & Advisor in multiple successful ICOs. Former business analyst at a Fortune 500 company turned entrepreneur (service design agency, BUYECO energy marketplace). Speaker and marketing consultant specialized in the beauty, fashion and luxury industries teaches digital marketing at HEC, Essec and Dauphine. Patricia Barbizet was appointed Chief Executive Officer of Christie’s in 2014, the first female CEO of the company. She has been Executive Director of Groupe Artémis since 1992 and is Vice-Chairman of the Board of Kering (ex PPR) and Chairman of the Supervisory Board of Christie’s. She was ranked number 6 in Fortune Magazine’s 50 Most Powerful Women in EMEA. Delphine Vitry of the MAD Network is a former director of architecture at LVMH, and a muse to all luxury brand owners for their retail strategy. Guillaume Boilot is the Chief Operating Officer at Vacheron Constantin, a branch of Richemont international. 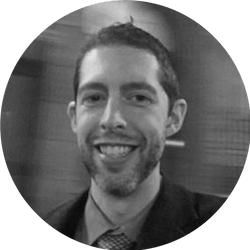 He has extensive experience in performance improvement, business development, business process improvements, cross-functional team leadership and strategy. Eric Darrieus, the COO at Balenciaga, has had a long and distinguished career in the luxury goods sector including well over a decade in senior positions at various LVMH companies. Former Senior Vice President of Strategy & Business development for Tiffany & co with 20 years of experience in the luxury sector. He was previously a Senior Partner at the Boston Consulting Group. Sylvie started her career in strategy consulting before joining AXA Group in 2006 where she held various positions at headquarter level, notably as Secretary of the Board of Directors and Chief of Staff of former Charmain & CEO Henri de Castries; she joined AXA ART in 2014 where she now acts as CEO South-West Europe as well as global Head of Distribution/Marketing/Communication. Robert Jan Broer is the Founder and Editor of Fratello Watches. He is a well-known watch collector and influencer who works closely with leading brands to promote the fine craftsmanship of exceptional pieces. 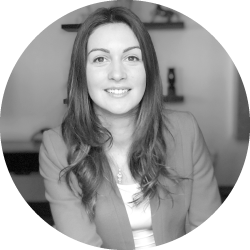 Yann Marie has extensive experience in the luxury goods industry, with a particular focus on digital marketing and communications. After several years in consulting for major luxury brands (Chanel, Montblanc, Nina Ricci, L’Oreal…), he has been the Global Head of Consumer Engagement at Moët Hennessy in the LVMH Group since 2016 and previously worked as International Digital Director at Veuve Clicquot Ponsardin for nearly four years. Fabien Potencier is a developer by passion, who constantly looks for better ways to build websites. He founded the Symfony project in 2004 to achieve this goal. 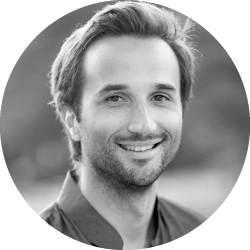 Aserial-entrepreneur, Fabien also founded Sensio, a software company that provides products, services, and technical support for the Open-Source Symfony framework. Jean-Michel Kientz is a global executive with 20 years’ experience in building Information systems for fast growing international companies in luxury, fashion and apparel, operating across retail, e-commerce and wholesale. He is currently SVP & CIO at Fast Retailing USA. He previously spent more than 14 years at LVMH in senior roles. Jeremy Bokobza is a professional software developer, with a strong knowledge in .NET, architecture and cybersecurity. Currently lead blockchain developer for Stratis ,where he focus on wallets and privacy protocols. Laurent Salat is the founder of Project Theseus, a data analysis platform dedicated to cryptocurrency ledgers (blockchains). Laurent, who is committed to all technologies that improve our lives,is a blockchain expert recognized by his peers as a powerful advocate and a passionate leader. William Entriken, the General Manager at Pacific Medical Training, is a product manager and computer scientist with an impressive background in Ethereum blockchain development. He was, in fact, the lead author of ERC-721. William also has extensive experience in computer security. Full-stack developer with over 12 years of experience as lead developer (Cairn) and scrum master (Vestiaire Collective). Experienced Mobile Tech Project Manager with both a design and IT background. He brings a wide range of early-stage startup experience. Multi-Skilled Developer. Years of experience in web and mobile applications development. Creator of a Backside Development platform. IV. 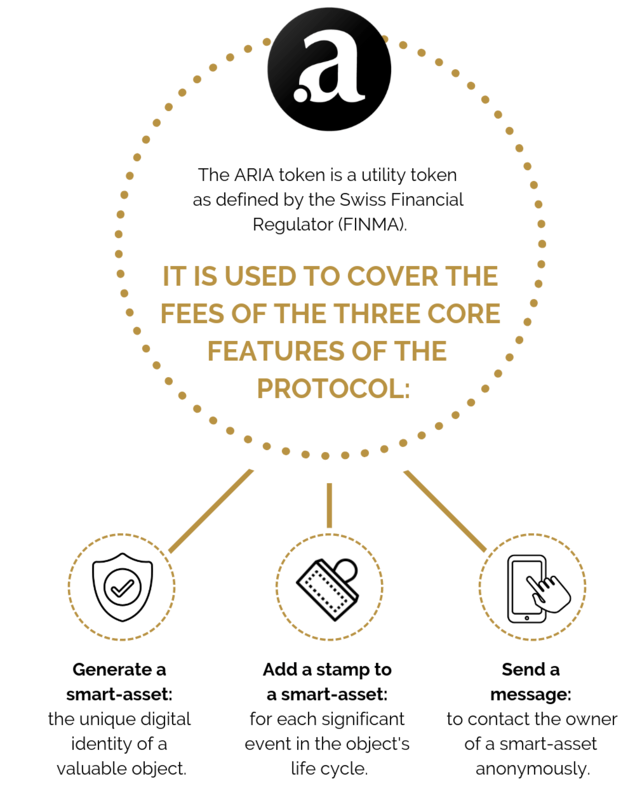 Governing the ARIA token economy, guaranteeing its perennity, setting prices, and the value split between the stakeholders. Arianee’s token economy was developed to incentivize all ecosystem stakeholders to ensure its security and resilience. The ambition of the founders of the Arianee Project is to revolutionize the way we own valuable objects using new technologies, including ; blockchain and cryptocurrency. We strongly believe that the era of centralized software development is coming to an end. A decentralized technology like blockchain, in tandem with a tokenized ecosystem, allows us to propose a completely new deal in which a technology is developed for a specific industry by that specific industry. all the value created is re-invested in the system.